Almost half cited cost as a barrier. 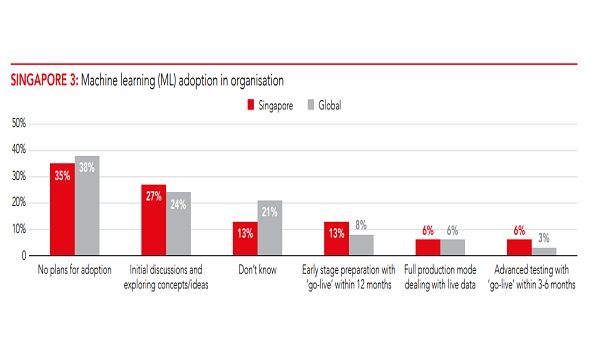 Over 1 in 3 or 35% of accountancy firms in Singapore have no plans to adopt machine learning in their organisation, with 13% still undecided, according to a report from the Association of Chartered Certified Accountants’ (ACCA). Machine learning is part of the artificial intelligence (AI) umbrella, and refers to the ability of computers to ‘learn’ and make decisions or predictions based on analysis of large sets of data. The report, which analysed how new tech developments are impacting the accountancy profession, found that the main barriers to adopting machine learning were the lack of skilled staff (57%), whilst 48% of respondents cited cost as a barrier. Nearly a fifth also admitted they saw no clear benefit from using machine learning. That said, 63% of respondents in Singapore believe that machine learning will become a reality in three years’ time, with 27% of firms having initial discussions and exploring the concept of machine learning. Meanwhile, 6%, one of the highest percentages compared to other markets, are at advanced testing stage, with ‘go live’ in three to six months, and 6% are at full production mode dealing with live data, ACCA noted. “Machine learning’s entrance into the accountancy mainstream is a huge opportunity here in Singapore, but also globally. 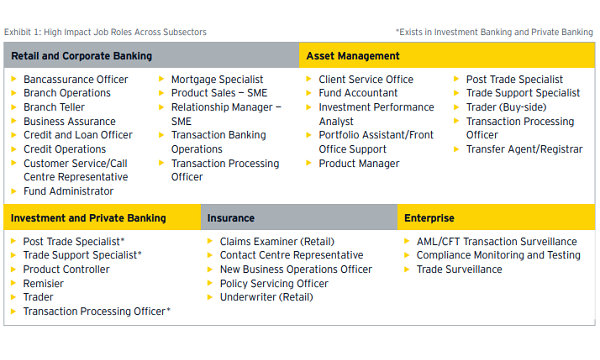 This is an area where professional accountants have the chance to develop a core understanding of emerging technologies, building their digital skills alongside their communication skills so they can explain the results really well. They can then truly benefit from the ability of technologies like machine learning to support them with intelligent analysis of vast amounts of data,” Chua added.